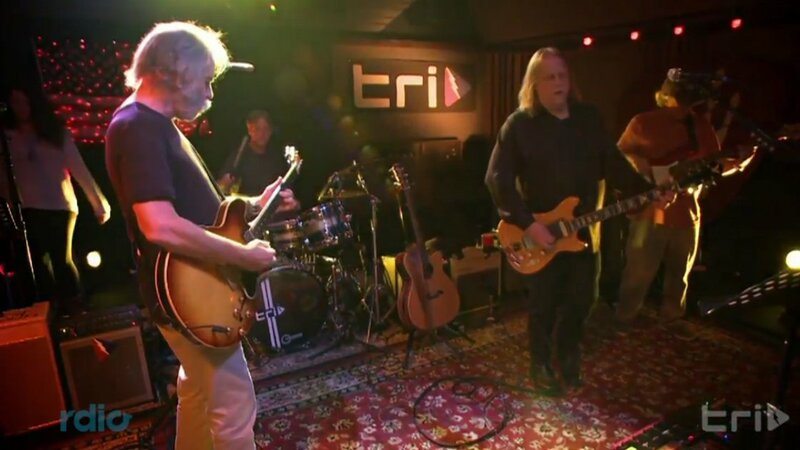 On July 31st of this year, Grateful Dead / Furthur guitarist Bob Weir welcomed guitarist Warren Haynes to his talk show Weir Here at TRI Studios in San Rafael, California. Haynes joined Weir to perform a few Grateful Dead classics, one of which was "I Know You Rider." You can watch them jam on this tune above via YouTube. 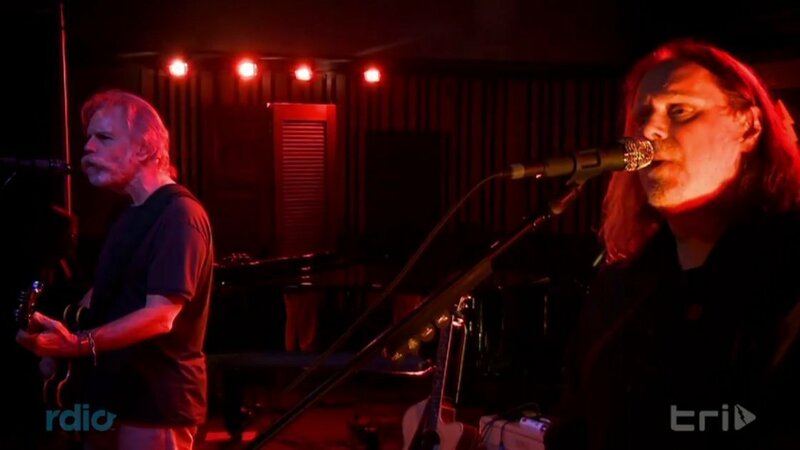 Weir and Haynes are joined by keyboardist Jeff Chimenti, drummer Jeff Sipe, bassist Lincoln Schleifer, and vocalists Alecia Chakour and Jasmine Muhammad. 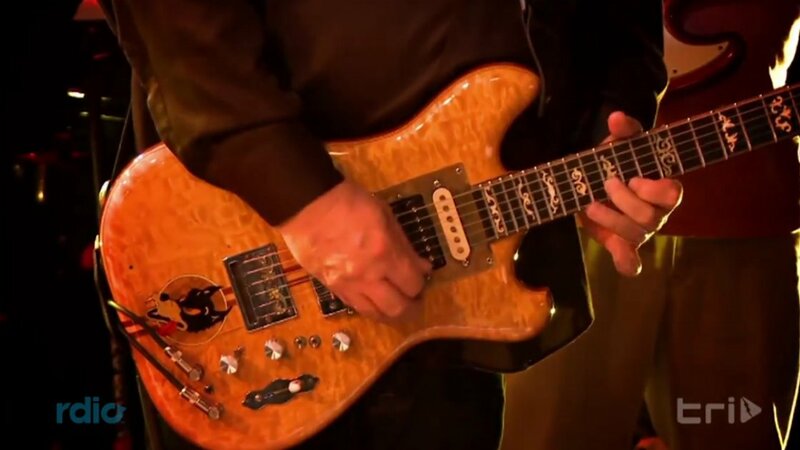 Beginning with a smooth introductory jam, we see Haynes using Jerry Garcia's Wolf guitar. Bob and Warren join together to sing the first verse before Warren assumes control of a brief solo. Alecia and Jasmine add depth to the vocals during the second verse. The relaxed song is further strengthened with Chimenti's skillful keyboard playing and Weir's timely rhythm chords. The song comes to a close with synchronized singing from Bob and Warren. The video is an enjoyable look at two talented musicians feeding off each other's energy. In related news, Furthur announced on their website yesterday that they have decided to call it quits while the band members focus on their personal music projects. The band formed in 2009 with original Grateful Dead members Bob Weir and Phil Lesh. "I Know You Rider" first appeared on The Grateful Dead's album Europe 72. You can pick it up on Amazon (Vinyl, CD, MP3) and iTunes. For Warren Haynes' latest music, news, and tour dates, check out his Zumic artist page. For more music, news, videos, and tour dates from Bob Weir, visit his Zumic artist page.